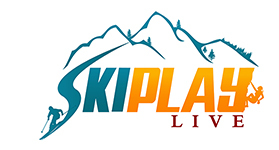 Idaho Mountain Festival 2019 - Ski. Play. Live. The Idaho Mountain Festival is Idaho’s all-inclusive climbers retreat. This four-day climbing festival is hosted inside Castle Rocks State Park near Almo, Idaho–right next door to the ever-so-popular City of Rocks National Reserve. At the festival, climbers will have the chance to enjoy the classic granite rock climbing and a solid collection of entertaining attractions.